Nothing is more iconic for the Fall Season than a Chicago Hay Ride - these fun filled rides through farmland often stir up nostalgia, and memories of Halloweens past. 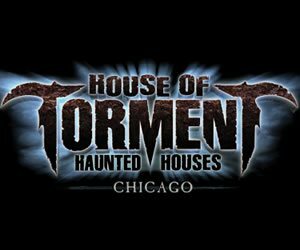 Many local farms and 2019 Chicago Halloween attractions offer family-friendly hay rides, as well as haunted hay rides in the evening, for the braver thrill seekers. This beloved past time has been enjoyed for generations during the Harvest Season, and it is still a tradition that friends and family can enjoy each Autumn. Abandoned Haunted House Complex Mount Pleasant 222 days ago Rate Now! Burial Chamber Haunted Complex Neenah 224 days ago Rate Now! Camp Tuckabatchee Haunted Camp Ottawa 265 days ago Rate Now! Creepy Hallow (Re-Opening 2019) Frankfort 207 days ago Rate Now! Edge of Insanity Kokomo 220 days ago Rate Now! Geneva Park Zombie Apocalypse Geneva 265 days ago Rate Now! Halloween Scare Walk Wood Dale 229 days ago Rate Now! Haunted Forest Walk Woodridge 264 days ago Rate Now! 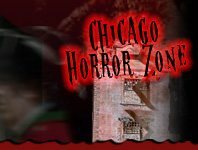 Nightmare On Chicago Street Elgin 263 days ago Rate Now! Orland Park Lions Club Haunted Woods Orland Park 198 days ago Rate Now! Oswegoland Park After Dark Montgomery 228 days ago Rate Now! Reaper's Realm Hammond 196 days ago Rate Now! Sandwich Halloween Walk Sandwich 197 days ago Rate Now! Spider Hill Chillicothe 197 days ago Rate Now! The Dark Side Haunted Adventure Ixonia 199 days ago Rate Now! Torment at Twelve Hundred Orion 217 days ago Rate Now! Undead Acres Monee 46 days ago Rate Now!